At least once or twice a year, it’s good to rid your home or commercial spaces of clutter and garbage. Especially in times when you plan to construct on or renovate your property, it’s advisable that you dispose of rubbish first before proceeding with repairs and construction work. If you’re based in Australia, you may contact 1300 Rubbish Removal in Sydney. Before you call in, however, here’s how you can prepare your space for professional rubbish pickup and disposal. The first step to take in preparing your property for rubbish removal is to determine the type of waste that you need to have taken out. Various types of wastes would involve different levels of difficulty in packaging and transport. For household-type wastes, rubbish would have to be segregated into two groups: biodegradable and recyclable. Biodegradable trash includes food waste, garden clippings, papers, and other organic materials. Recyclable materials include such items as plastics, cans, and other packaging materials. Usually, the standard pickup schedules for these separate groups are handled by different trucks to ensure proper segregation. If you would like to request a special pickup of your household waste, be sure to inform the company of the type of waste in order for them to bring the proper truck and equipment. For commercial waste, this would include the daily collected rubbish from offices and commercial establishments. Packaging materials, paper scraps, confidential documents, and pantry or industrial kitchen waste are examples of commercial rubbish. Make sure to properly collect and segregate your office waste to facilitate efficient and timely collection from rubbish removers. For construction waste, heavier equipment and safety precautions are required. 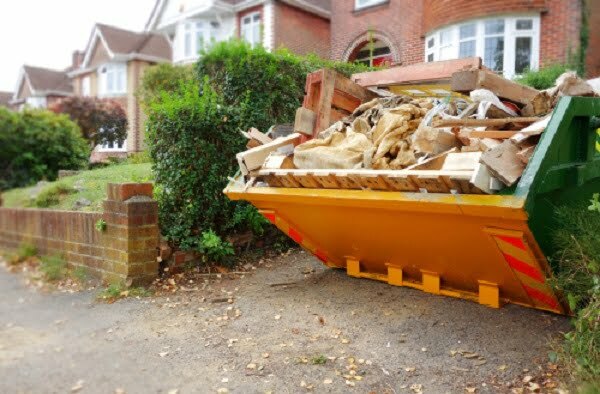 You’ll be needing hauling services for construction or demolition debris, and this will be more challenging for rubbish collectors. Plan carefully on-site for the proper procedures and transit of heavy debris. Moreover, coordinate clearly with the construction personnel to determine the best route at the job site for collecting and transferring the debris. Since the job site is most likely an ongoing construction project, orient the waste collectors regarding proper safety procedures and use of equipment. Depending on the type of rubbish, the collectors will give you a price quote based on the volume or weight of the materials. When you inquire with rubbish removal companies, ask in advance how they compute prices for waste collection. Make sure to have your own weight and volume estimates ready, to facilitate your assessment of the rubbish collector’s proposal. Inquire from several companies, so that you can get the best rates possible. Having several options for suppliers can save you money—a tip you can learn from Extras. After you’ve considered the aforementioned variables, you and the rubbish collection company would have an idea of how challenging moving the waste will be. Your specific needs will affect the labor costs involved. Rubbish removal companies charge by the hour. Ask the company how many workers will be needed, and how long they’ll need to work. The location of your household, business or job site is also a major factor in terms of your preparation. Certain suburbs or towns have strict regulations in terms of allowing bigger-sized vehicles such as collection trucks in the vicinity. Coordinate with your local authorities regarding time windows for pickup, and inquire about restrictions on the truck or van sizes. More importantly, keep your rubbish collector company informed about your exact location and the guidelines that they have to comply with. Doing this will facilitate their scheduling for you as well as costing for the services you’ll need. Another major concern would be how accessible your rubbish dump or containers are. Here are the questions you need to answer. Are the rubbish containers easy to reach from the street or parking area? Can the trucks easily enter the waste storage facility? Or, would the workers need smaller vehicles, pushcarts or wheelbarrows to transfer the waste? Consider these questions in advance to ensure the smooth transfer of your home or business rubbish. When your rubbish is properly segregated already, and you’ve chosen the company who can best meet your disposal needs, set the date and time for pickup. Consider rush-hour times as well as the weather. When you schedule, keep in mind that some collectors have fixed schedules and fixed rates, while other companies have varying rates depending on peak hours. Hiring professionals in the field of rubbish disposal to literally do the dirty work for you can take a lot of problems off your hands. It can be easy to get your property ready for construction or renovation once you’ve gotten rid of unnecessary materials and garbage. To facilitate the work of the rubbish removal company, prepare your home or office beforehand and make sure you know all the guidelines you need to follow.